Chimney Cleaning Ottawa | Home | Capital Chimney Sweep Inc.
We care about your home’s air quality! Make an appointment with our friendly chimneysweepers! 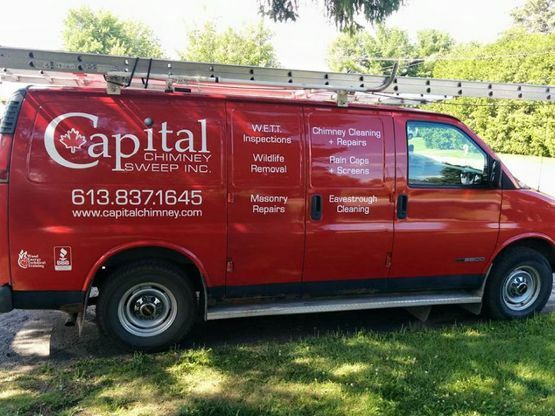 When it comes to chimney services, including sweeping and inspections, Ottawa residents have put their trust in Capital Chimney Sweep Inc.
Get a free estimate! Call our trusted chimney professionals today! Wood Energy Technology Transfer Inc.
Capital Chimney Sweep is fully insured for liability and is covered by Workers’ Compensation. Schedule an inspection/cleaning of your wood-burning system. We’re also trained and equipped to take on masonry repairs. When’s the last time you had your chimney cleaned?